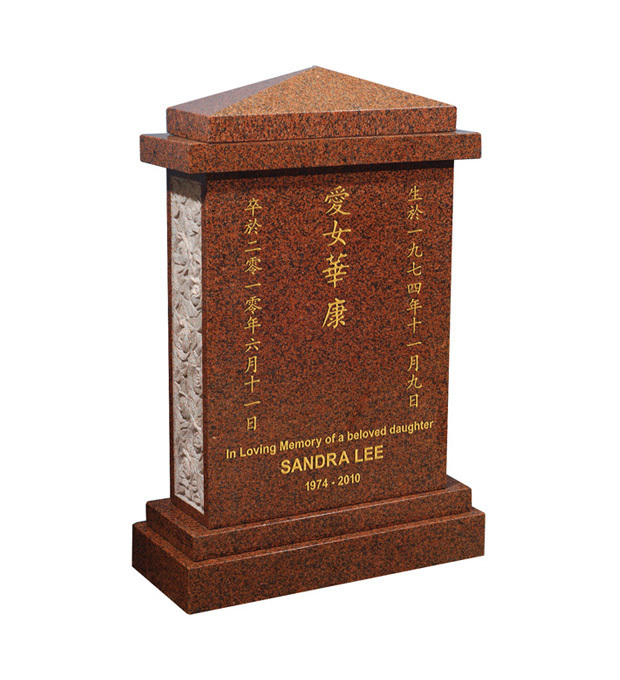 Illustrated in 'Balmoral Red' granite, this substantial memorial with its 150mm (6”) thick headstone has a deeply carved full length rose ornament on both sides. It has an all polished low maintenance finish. Trade customers please log in to view Lee purchasing options.